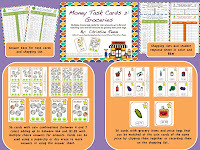 Note: If you are looking for the link up there are new resources added and it’s still open for adding until 4/12. You can go there directly here. I have been working with a number of middle and high school teachers recently who are working on shifting students’ programs from an academic focus to a more life-skills approach. 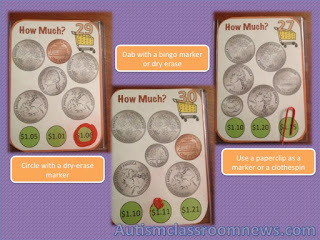 In the world of standards-based IEPs and common core curriculum, trying to figure this out has become more difficult. 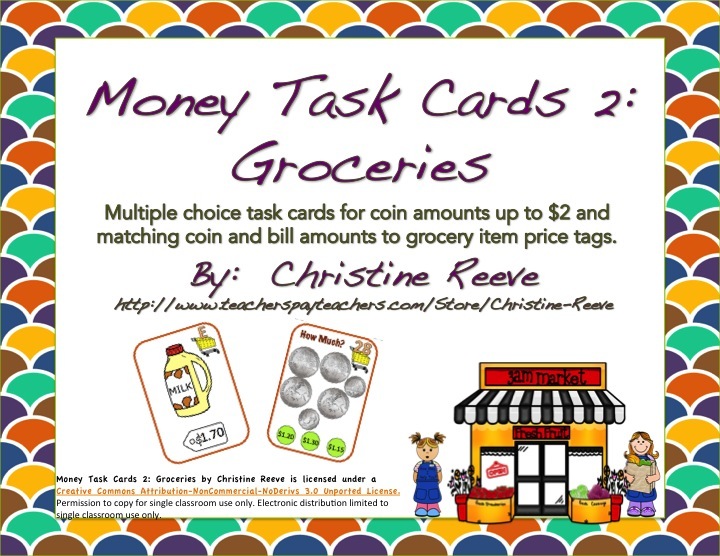 One of the areas that is easiest to shift but for which it is somewhat difficult to find materials that move toward real-life applications are money skills. 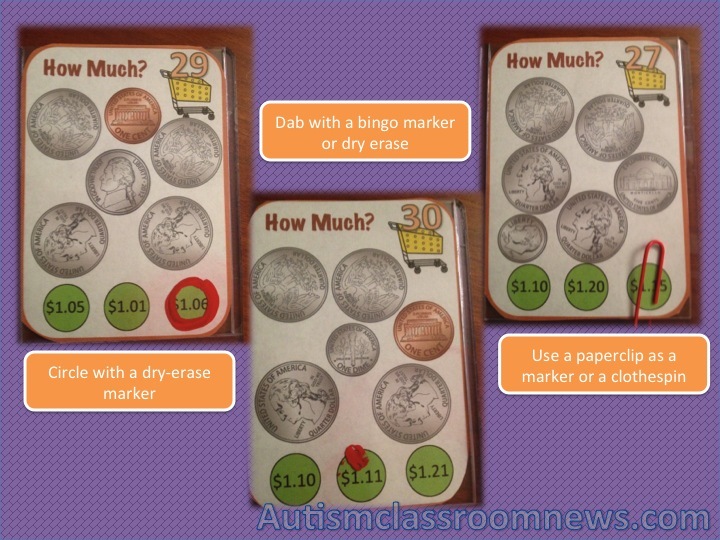 Being able to count change is important but it is useless if the student doesn’t know how to use the money to buy and understand how to interpret how much money is needed based on prices. So, I created a set of task cards to both address identifying amounts of change and have the students match the change amounts to prices. 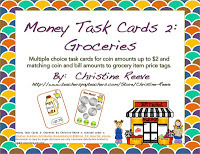 Task cards are great for a variety of reasons. 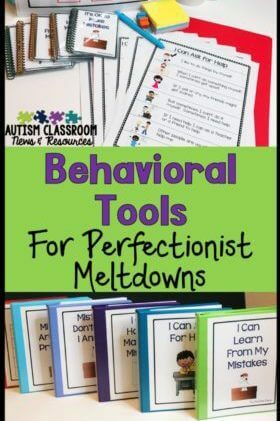 They are adaptable and make differentiation easy. 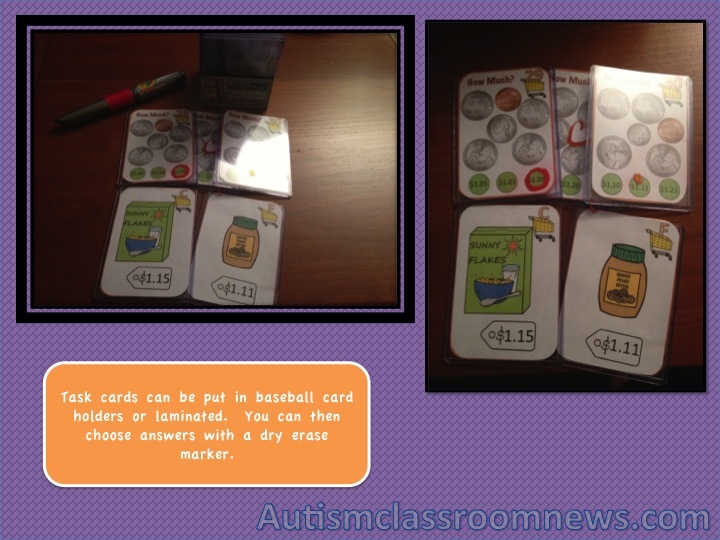 For instance, you can have the student use just the cards with 1 or 2 coins while another student is using the cards with 4-5. 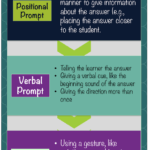 You can use them in a group by putting them on a document camera and having the students record the answers on an answer sheet together or you can have them work independently in your instruction center. 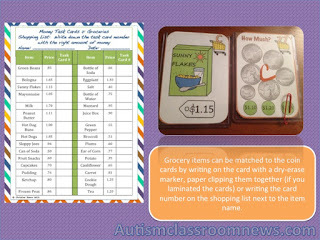 You can use them for explicit instruction to teach the skill and then they easily transfer to structured work systems for students to work on their own. 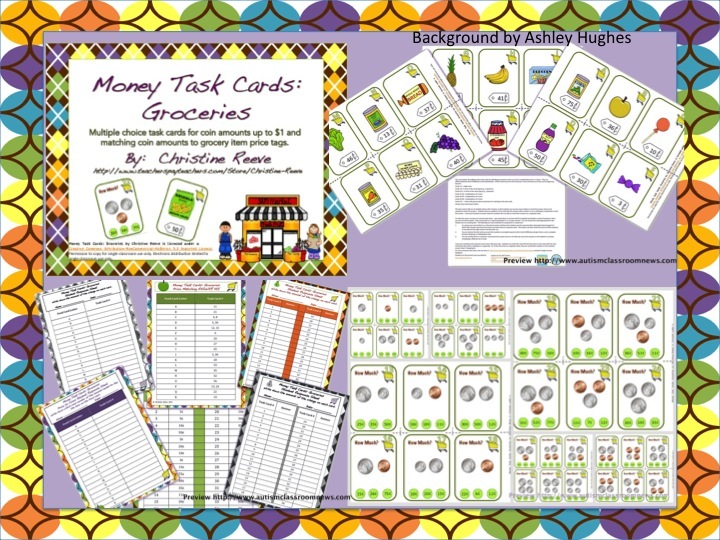 For work systems task cards are easy as well because they are easy to switch out to provide ongoing variety–avoiding the problem of students who memorize file folder activities. 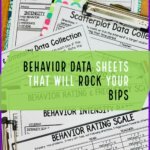 There are answer sheets that allow students to record responses or you to record data based on their performance and answer keys for both sets. 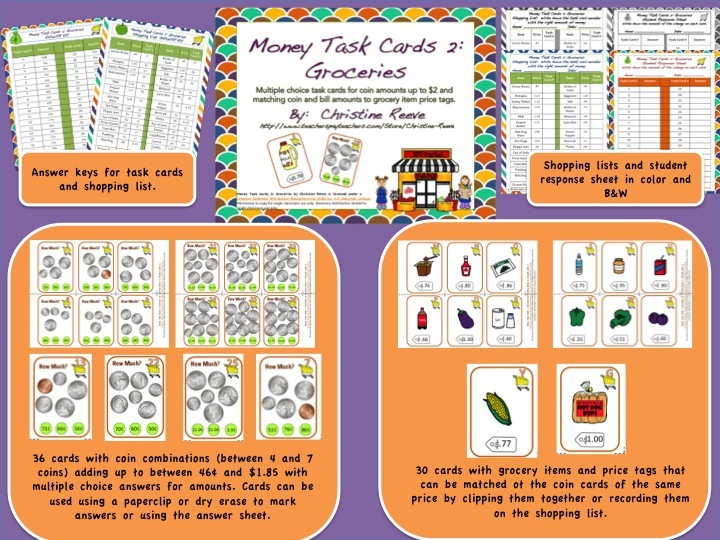 For more information on task cards and how they can be used in the classroom, there is a great website that provides lots of ideas. 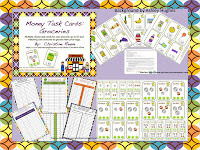 For more information you can check out Money Task Cards 1: Groceries and Money Task Cards 2: Groceries at my TPT store. 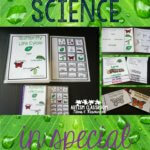 Check out the pictures below and go to the TPT store to check out the specific make up of each set. 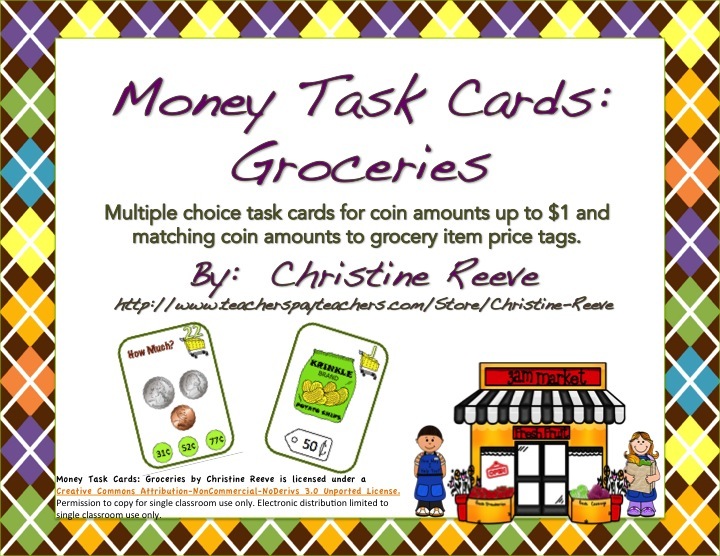 Have you used task cards in your classes? How have you used them? Hi! 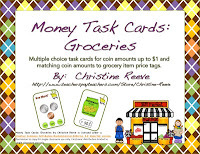 Just found your blog through Mrs. Rios's giveaway, I'm your newest follower!